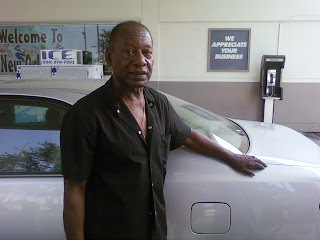 Isiah Factor | The Insite » I SAW HIS SUPER BOWL RING AS HE WAS PUMPING GAS! I SAW HIS SUPER BOWL RING AS HE WAS PUMPING GAS! 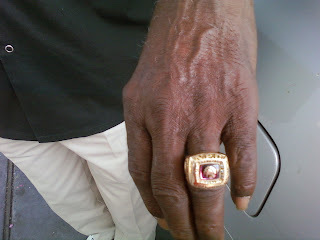 August 29, 2008 | Posted in Uncategorized | Comments Off on I SAW HIS SUPER BOWL RING AS HE WAS PUMPING GAS! ROOSEVELT TAYLOR FROM THE NFL! You never quite know who you are going to run into in the Big Easy. On this very hot Friday I met NFL legend Mr. Roosevelt Taylor. Most of you blog readers are too young to know who he is. Taylor played in at least two Super Bowls in his career that began in 1961. He also played for the Chicago Bears, the Washington Redskins and the San Francisco 49er’s. Taylor, who’s from New Orleans, was in town from Arkansas to check up on the progress of his home. It’s being renovated after it took quite a hit from Katrina. Now Mr. Taylor says he’s worried about Gustav. Would you blame him. It was cool meeting the former NFL great pumping gas at the service station!